Do You Need Additional Insurance Coverage On Your Rental Car? 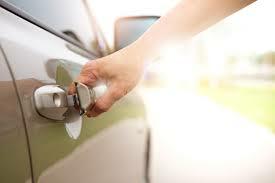 You might need a rental car when you’re on vacation or if your car is in the shop. It’ll surely take time to get used to a new car and figure out how everything functions. One of the last things you need is to be involved in a car accident while driving a rental vehicle. However, do you really need to purchase additional coverage when you’re paying for your own insurance already? This coverage is also called Loss Damage Waiver or Physical Damage Waiver. Paying for this will mean that the rental company will waive all or some of the cost of the rental car if it is damaged or stolen. However, most insurance policies for people’s everyday vehicles already provide this insurance. Furthermore, some credit cards also already provide this coverage. Before you purchase the Collision Damage Waiver, contact your insurance provider to see if you already have it. New York requires that all rental companies have minimum liability insurance for vehicles for bodily injuries and property damage. Renters that purchase this insurance will have the rental company pay for the amount that their minimum coverage does not cover which is for a very considerable amount. However, in addition to your personal vehicle’s insurance that likely already covers this, the minimum coverage that you have with your car will likely be enough. This insurance covers expenses following a car accident including medical, ambulance, and death costs for drivers and their passengers. Although these expenses can be exponentially high, your current insurance policies will also likely already cover these expenses. Lastly, this insurance covers your personal property that can be stolen in your rental car. You may also already be covered however through your homeowner’s policy. Therefore, you could end up paying for something that you never end up using. Before choosing to add this insurance, make sure you see if you are already covered and whether your personal items in your car will even be worth the value. All of these additional coverages are purely optional, and companies are prohibited from forcing you to purchase any of these. While it may sometimes be prudent to purchase additional insurance, you shouldn’t have to unnecessarily pay more money for additional coverage when you are already covered by your current auto insurance. Additional insurance can quickly add up, as you will be charged daily for each one. Before spending your hard-earned money, make sure you understand exactly what you’re paying for and always contact your insurance provider to verify what you’re already covered for. Whether it’s your personal vehicle or a rental, being in a car accident can be stressful and costly. Although they are often unavoidable, the more information you know, the more prepared you can be if you find yourself in a compromising situation. If you are ever in a car accident, call us as soon as possible: (716) 907-7777.